In horoscope, if all planets are placed between Rahu and Ketu, then formation is known as Kaal Sarp Dosha [Yog]. One who has Kal Sarpa Dosha [Yog] would face difficulties in leading a happy life. One might have problems in married life. One might have financial losses and various health problems. One would not get any children. One might have job problems and many more. Kaal Sarp Dosha can be cured by worshiping to Lord Shiva. One of the most significant places of worshipping Maha Deva is Srikalahasti. Here we give the details about Kaal Sarp Dosh Puja at Sri Kalahasti. There is uniqueness of the Idol at Sree Kalahasthi Temple. Here, Lord Siva clearly has all 27 Nakshatras [stars] and 9 Rashis in his Kavacham. Sri Kalahasti temple is the only temple that remains open during Grahanam [Solar and Lunar Eclipse] too. Even priests never touch the Shiva lingam with their hands. Rahu- Ketu Sarp Dosha Puja is performed in order to decrease ill effects of Dosha [Yog]. Thousands of devotees perform this Puja in Srikalahasti and get their expected results. The Rahu Ketu Pooja is completed in 30 to 40 minutes. It is best to perform the puja during Rahu Kaalam. Rahu-Ketu Puja is different from other pujas. There are no Homa or Hawana [fire ceremony]. This puja is done by chanting mantras for the twin snakes made of metal strips. These metal strips represent Rahu and Kethu. There is no need to discard your clothes or having a bath after the puja. You can go home in the same clothes. Puja Samagri: Two metal image of Rahu and Ketu. There is Laddu and Vada Prasadam. Flowers are received from different counter. Also, devotee gets Vermillion [sindoor] and Turmeric [haldi] at Rahu Ketu Puja Samgri. Good result can be attained by doing Kaal Sarpa Dosha Nivarani puja twice a year. Once in Dakshinayanam [July 15th to Jan 15th] night time for Celestials. The other is in Uttarayanam [Jan 15th to July 15th] day time for Celestials. If possible perform “Rudhra Abhishekam” after completing the Kaal Sarpa Dosha Nivarana Puja. Rs: 500/– Puja is performed in a hall outside the Temple, near Pathala Ganapathi Temple. Darshan is allowed in free Line. Rs: 750/ Puja is performed at Nagari Kumarula Mandapam, within Temple Premises. Darshan is allowed in Rs.50 tickets Line. Rs: 1500/ Puja is performed in A/C Mantapam Outside Temple beside Addala Mandapam Near Dwajasthambham. Darshan is allowed in Rs.200 tickets Line. Rs: 2500/ Puja is performed near the Kalyanotsavam Mantapam inside the temple. Darshan is allowed in Rs.200 tickets Line. Rs: 5000/ Puja is performed near Near Sahasra Linga shrine inside the temple. Darshan is allowed in Rs.200 tickets Line. Sri Kalahastiswara Swamy Temple will open at 6.00 A.M and will be closed at 9.30 P.M.
2) Take a head bath before performing the Puja. 3) Females should perform the Puja before or after eight days of Menstruation. 4) Consult a good Astrologer and seek the guidance to perform the puja according to your Janma Nakshathra. 1) Do not visit Friends or Relatives house on the way back to your home after Rahu Ketu Puja. 2) Pregnant ladies should not perform the Dosha Nivarana pujas in the temple. Avoid visiting temples where any type of Dosha Nivaran Puja is performed. 3) Do not offer Sastanga Namaskara in any Naga Devatha temple. 4) Do not visit the Temple with oiled hair. Is Their kalasarp dosa in my kundli. I am facing Lots of difficulties . please check and suggest . Yes you have Kaala sarpa dosham. Perform Rahu kethu pooja on regular basis but with six months gap. Establish Kaala Sarpa Yanthra and worship it. One of the astrolger says that i have kala sarp dosha, the other say i do not. Not finding proper guidance. But still i have done my kala sarp dosha pooja . After pooja there are certain rules to be followed for 3 months as specifically told by pujari’s.. But after 4 days of pooja by mistakely i eat egg. So now everything i have done all the pooja and everything is a waste?? Or can i find any remedy for mistake? Kindly help me as I am too much worried on what I have done. No there is no Kaala Sarpa dosham since Planet Moon is out of the clutches of Rahu and kethu. Presence of Kaala sarpa dosh mean all of the planets should in be posited in between rahu and kethu and rahu should bot be aspected or conjuncted by a benefic or a strong Jupiter. You need not do Kaala sarpa dosha pooja. There is no restrictions to be followed after the day of performing the pooja. Daily wake up early in te morning and worship Lord Ganesh and then perform Surya Namaskara / read Adithya Parayana during the sun rise time. There is procedure to do this so better consult a temple priest and do it precisely. Worship Lord Hanuman also daily – read Hanuman chaleesha and visit his temple regularly. This is more than enough for you. Astrologer said I have kala sharp dosha from which it’s causing delays in many things, also job isn’t stable can I do business? Yes you have Kaal sarpa dosham. And it may hinder in many ways. Perform Rahu kethu pooja on a Krishna Paksh Panchami raahu kaal time or any Monday. Establish a Kaala Sarpa Yanthra with the help of a expertised Priest and worship daily. There is no time of birth. Then recite OM SARAVANA BHAVAYA NAMAH for 108 times or more for best for 21 Tuesdays. If you can please the lord with your sincere prayers then you can surely overcome from any of your problems. My marriage is delayed and I am in Rahu Mahadasha Moon antardasha suggest remedies . You have Rahu in 7th house. So must do rahu kethu pooja once in every for best result till you get marry and then after doing is good only but its upto your possiblitiy. Or every Monday perform Water Abhishekam to Lord Shiva and recite Shiva Panchakshari Mnathram and on every Tuesdays offer pooja to Lord Subrahmanya and visit Naaga devatha installed in a Goddess Durga temple and worship. Facing lot of problems in career, financial, and delay in marriage. Pls see what dosha I have and what Nivaran I can do for it.. what pooja I need to do ? When and where? Presently your are in Rahu Maha Dasa since 02.2006 till 02.2024. Perform Rahu kethu pooja thrice once on a Sunday and next on a Monday and thirdly on a Tuesday with six months gap between each time of pooja. Always first perform pooja to Lord Ganesh and then do rahu kethu pooja. Of just recite Garuda Manthra for 108 times daily for best result or every Saturdays. Or you can recite OM SARAVANA BHAVAYA NAMAH for 108 times daily or every Tuesdays and read Skandha sashti kavach on Tuesdays. Daily worship Lord Ganesh first and then any other worship. Currently in Rahu Mahadasha and moon antardasha please suggest remedies . There is a delay in marriage. Please suggest remedies. Perform Rahu kethu on Ashlesha Nakshathra day or Amavaysa or Pournami or Sashti thithi rahu kaal time. First perform a pooja to Ganesh and then perform the parihara pooja. This month March 26th Tuesday is good to do rahu kethu pooja for marriage problems. So try to do it on that day. Worship Lord Ganesh and Subrahmanya. Recite OM SARAVANA BHAVAYA NAMAH for 108 times daily for 21 days or 21 Tuesdays or above or continueing it is also better for Rahu maha dasa. Visit Lord Subrahmanya temple regularly. I have got good marks in my studies but I am Getting obstacles to getting a job and also there is delay in my marriage. I am facing alot of problems in my life. Or simply circumnavigate Navagrahas daily or every Saturdays. Recite Budha manthra for 108 times daily or every Wednesdays for job and Adithya Parayanam also daily morning. You have Kethu dosham so you can perform Rahu kethu pooja for your betterment. My marriage is not getting finalised. Is it due to Kal sarp Dosh. How to overcome this dosh. Kaala sarpa dosh is also one of the reason. Perform Rahu kethu pooja every year or at least three times at consequitive years. First perform pooja to Lord Ganesh and then rahu kethu pooja. Or just worship Garuda by reciting Garuda Manthra daily or every Saturdays. Become an ardent devotee to him is a best remedy to get protected from dosha related to rahu kethu or any naaga doshas. I have been told that I have Kaala sarpa dosham. My marriage is getting delayed since many years. Can you please tell me whether I have dosham and the remedies for the same. Thanks in advance. Planet Kethu placed in Naaga dosham and hence the delay. Perform Rahu kethu pooja on a Tuesday raahu kaal time or any Sashti thithi. Daily worship Lord Ganesh and Durga. Worship of Naaga Devathas on Tuesdays regularly is must. Offer lemon shell lamp for at least 21 Tuesdays my reduce the effect of the dosham. My Name is Praveen , DOB : 14/09/1982 and Birth time : 6:40 AM , Place of Birth : Palakkad, Kerala. Sir I am a married Person ,My Wife Name is Nimmi , 10/01/1984 ,time :2:49 Pm ,Kollam ,Kerala, Advaith 21/07/2011, 6:27 Pm ,Kollam, Vinayak 30/10/2013 ,9:25 AM , Kollam. 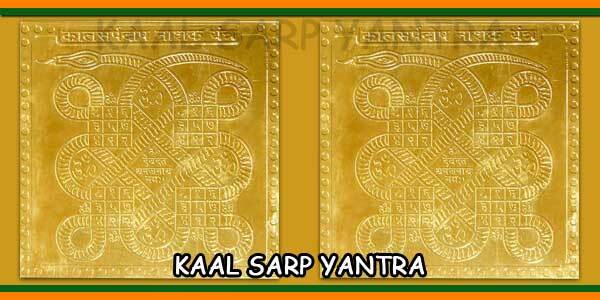 – Establish Kaal Sarp Shanti Yantra in your home and worship it regularly. 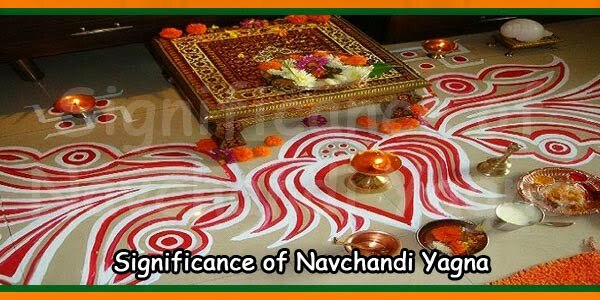 – Observe fast on Naga Panchami every year. – Recite Nava Naga stotra daily for one year. – Recite Rahu mantra daily 108 times. 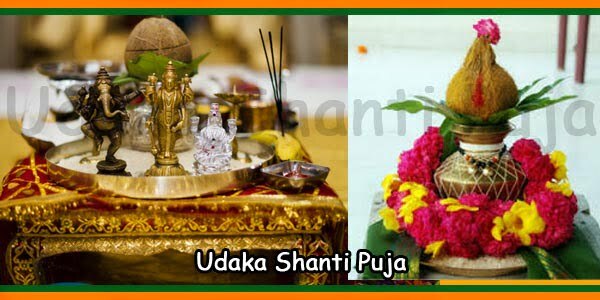 – Do abhishek (bathe the deity) to Lord Shiva for 30 days during the month of Shravana or on every Mondays evening during sun set time or as per your possibility. – Worship a pair of snakes made of metal properly at Sangam of Alahabad and offer it to river along with milk and also do tarpan shradh once at Sangam. Presently you are in Venus maha dasa and it is placed not good and hence no financial gains. Sir few astrologers saying my husband (Krishna kanth) have kalasarpa dosham . He is doing business. From 1 year onwards our business was too dull. We are suffering some financial problems . Sir please will u check once and advice me . Then we have to done d pooja very soon. For Krishna – business is not suitable. Job is suitable for him. No Kaala sarpa dosham but has Naaga dosham. So perform Naaga Prathishta and rahu kethu pooja on Ashlesha nakshathra day on regular basis with at least six months gap each pooja. Tell him to worship Lord Ganesh and Subrahmanya and regular visit to Shiva temple or Subrahmanya temple is adviceable. Need time of birth also to check so please send it. Marriage is getting delayed and near by astrologer said kaal sarpa Dosha is there and have to do puja.please suggest what to do . No there is no Kaala Sarpa dosham or Naaga dosham. Since Mars is placed in 7th house its getting delayed. Perform Kalyanam to Lord Venkateshwara at Srinivasa mangapuram before Tirupati when you come from Bengaluru. Do this pooja and if blessed then you can get marry. Daily worship Lord Ganesh and Hanuman – Hanuman chaleesha and Visit Hanuman temple regularly. I AM NOT ABLE TO CONCENTRATE ON STUDIES. Please mention is it AM or PM. First give proper details of you Subbanaidu or Swapna or you want to check for the given birth details. Need to post clearly then only we can check and give you. No Kaala sarpa dosham or Naaga dosham for the given birth details. If any astrologer says you have kaala sarpa dosham then doing the pooja with all the family member present in the temple is beneficial. But the person who does the pooja only will be allowed into the parihara sthala / Hall. My name is Subbanaidu. Sir here some body says ur family have Sarpa Naga dosham to my parents. Pooja can do whole family that is my parents and my family. Which day we will do pooja. Please suggest me. Yes come to Kalahasthi with all of your family members. But those who want to perform is only allowed at the parihara sthala to do the Rahu kethu pooja. Others can have dharshan with the person. Perform Tila abhishekam to Shani Deva on a Saturday on regular basis. Daily worship Lord Ganesh and Hanuman and visit Hanuman temple on every Saturdays and circumnavigate Navagrahas. Perform Rahu kethu pooja for once. My marriage is getting delayed. Do I have kaal sarp dosha. Daily worship Lord Ganesh and then worship Sun God by reciting Adithya hrudayam during sun rise time daily or every Sundays. Recite Shiv Panchakshari manthra daily or every Mondays evening time. Regularly offer food to old age couples and get their blessings. For once perform Rahu kethu pooja on a sashti thithi raahu kaal time. I am Sourav mitra from kolkata. My Career. Health. Economic positions and family status all are ruined. I am in a status of great depression..
Plz help me to get rid of at earliest. You have Kaala sarpa dosh and hence you are suffering so. Perform Rahu kethu pooja every year on a Monday raahu kaal time. First perform pooja to Lord Ganesh then Rudhra abhishekam and then rahu kethu pooja is the correct procedure. Daily worship Lord Ganesh at home. Establish Kaal Sarp Shanti Yantra in your home and worship by Reciting Rahu mantra for 108 times daily or every Saturdays. Observe fast on Krishna Panchami every month and Naga Panchami every year. Recite Nava Naga stotra daily regularly or once in a week at least. Do water or Panchamrutham abhishek to lord Shiva for 30 days during the month of Shravana (best) or for 30 Mondays. My marriage is getting delayed.Local astrologer said I have kalasarpa dosha or any other dosha related marriage life. If there is dosha please tell me the remedy early marriage life. No Kaala Sarpa Dosham or Naaga dosham and even Kuja dosham too. Presently you are in Sun Maha dasa and Surya deva in your horoscope placed in 8th house who is the lord of 7th house. Hence the delay. Always worship Lord Ganesh in the morning and then recite Surya chant Surya mantra or Siva panchakshari mantra and perform abhisheka to lord Shiva on every Mondays regularly during the evening hours for best result. Recite Adithya Hridayam on every Sundays morning during sun rise time. Perform Rudhra Abhishekam on any Monday at any ancient temple. 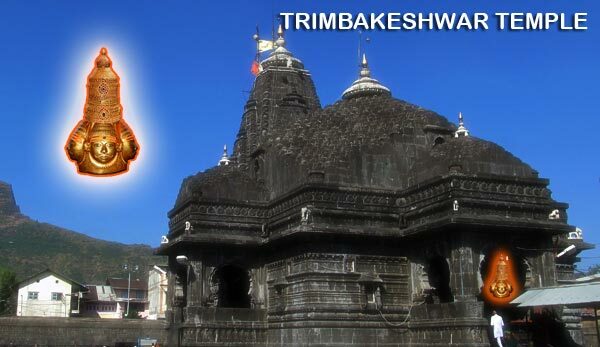 Visit Hanuman temples to worship regularly. Is their kalasarp dosa in my kundali. I am facing lots of difficulties, no growth in business (infact Loss), laziness, at home there is no peace,happiness. Perform Rahu kethu sarpa dosha nivarana pooja on Aslesha nakshathra day. If you plan comment us and i let you know the day to perform. First perform pooja to Lord Ganesh and then go to do the rahu kethu pooja. Establish Kaala sarpa yanthra in your home and worship it daily. Fasting on Panchami or Naaga Panchami days are best. Reciting Garuda Manthra only at home for 108 times daily or every Saturdays is most powerful to ward off of malefic effect of Rahu and kethu. Business is not suitable for you. Its better to do a job as it suits you. My marriage is getting delayed. Local astrologer said I have kalasarpa dosha. Please confirm do I have sarpadosha / kalasarpa dosha or any other dosha related marriage life. I already perform naaga prathista and Ashlesha bali pooja in kukke SUBRAMANYA temple and navagraha dosha nivarana pooja in SHIVA temple. If there is dosha please tell me the remedy for early marriage and happy marriage life. No kaala sarpa dosham. But since kethus placement in kalathra sthana it is not auspicious. You lagna lord Venus is also not placed well. Seventh house lord Mars is also weak and hence the delay in marriage. Daily worship Lord Ganesh and Hanuman – Hanuman chaleesha daily or every Tuesdays and Saturdays and Goddess Durga daily or every Fridays. Perform water abhishekam to Shiva linga on every Mondays evening at six hours and recite Shiva Panchakshari manthram. Yes need to do rahu kethu pooja on regular basis ie once in a year to pacify kethu. Recite Shukra manthra for 108 times daily or every Fridays. Best vrath to get marry is Sashti vrath pooja to be done for 21 sashti thithi or continously till you get marry. You have Kaala sarpa dosham. Perform rahu kethu pooja on any Tuesdays for marriage or on a Sashti thithi raahu kaal time. Establish Kaala sarpa yanthra at your pooja room and worship it daily. Or just recite Garuda manthra for 108 times daily or every Saturdays. Worship Lord Ganesh and Subrahmanya, Lord Shiva and Goddess Durga daily. My marriage is getting delayed. Could you please check and let me know whether any Doshas are there in my Horoscope. Kindly suggest the Pooja to be performed. Perform Rahu kethu dosham nivarana pooja first at Kikke Subrahmanya and secondly at Ghati Subrahmanya temple and thirdly at Kalahasthi on Sashti thithi raahu kaal time with sixd months gap. First perform pooja to Lord Gaensh and then do rahu kethu pooja. At home worship Lord Ganesh during early morning and then recite Shukra Manthra for 108 times daily or every Fridays and perform pooja to Lord Shukra on regular intervals or once at least. Perform Maha Ganapathy Homa and then secondly Navagraha Dosha Nivarana pooja. She has rahu kethu dosham. Perform rahu kethu pooja after her third year. She is also in the Rahu maha dasa now. Till that take her to Lord Venkateshwara temple and worship Garuda. The Garuda mantras should be recited for 1008 times for 108 days, starting from the Panchami Thithi (5th Waxing Moon) day of Shukla Paksha (much auspicious if began on Garuda Panchami day), – can be free from all kinds of Sarpa Dosha (Kala Sarpa Dosha), Naga Dosha, Rahu Dosha and Ketu Dosha, misfortunes, and can be bestowed with good health, abundance of wealth, happy married life and good children. At home establish a Shiva linga in a small bowl and perform water abhishekam and then recite Maha Mrithyunjeya manthra (knowing the meaning), for 108 times around 06.30 pm daily or every Mondays. Take her to Pradosha pooja perform twice every month in an Ancient temple. Best temple to visit is Pallikondeshwara Temple near Utthukottai, between Tirupati – Naralapuram – chennai road. Lodges are there for you to stay here for that night after finishing the pooja to start next day. Hi sir me and my sister perform Rahuvu kethuvu pooja at srikalahasthi but we have did nedra at srikalahasthi. Whould that mandatory to do nedra in srikalahasthi ? Can you please help me out this. I am Ashwini, mother of Pranav Ponnanna. He is just 8months old. He has lot of health issues. One of the astrologer asked us to do homa which would cost 25k. So I just wanted to check if he has any Dosha. If yes what are the remedie. My son is suffering alot from the time of birth. Please help us. There is Naaga dosham in his chart and hence physical issues so performing Naaga Prathishta pooja at Kukke Subrahmanya temple is must. You can even perform Sarpa Samskaara Pooja but not mandatory. Rahu Maha Dasa starts from 12.2021 till December 2039. Since Rahu is placed malefic the coming pperiod may have troubles. So performing rahu kethu pooja during the month of June or July of 2021 is beneficial. See Ashwini, till the completion of his third year don’t take him to temple weher Kaala Sarpa Dorsha Nivarana Pooja. Instead take him to Lord Subrahmanya temple and make abhishekam in his name and gothra or in the the name of the Lord. For now you can perform Maha Mruthyunjeya japa manthra pooja with the help of a poojari or yourself can recite the manthra for 108 times having thechild on your lap. After reading of manthra is over perform water abhishekam to Lord Shiva Linga. You can do this pooja daily or every Mondays evening between 0600 and 0730 pm. You can even pooja to Lord Subrahmanya on every sashti thithi starting it on a Shukla sashti thithi. What ever pooja or prayers you do first start pooja to Lord Ganesha. Tie him a Durga maa dollar made of copper on an auspicious day in a temple. Not required to perform pooja as said by the other astrologer or whomsoever i it is. Just worship Lord Ganesh, Subrahmanya, Shiva and Hanuman regularly and put your faith on the lords and they will save your son. Circumnavigate Navagraha on every Saturdays regularly. 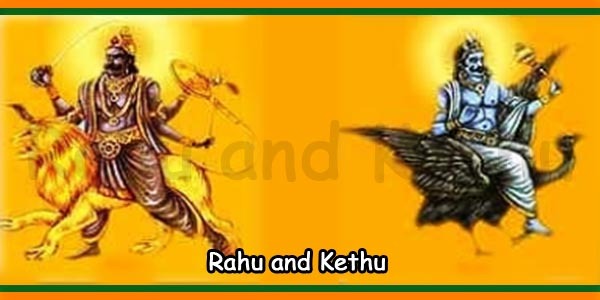 Reciting Garuda manthra on every Saturdays is also one of the best remedy malefic rahu and kethu. Could you please check and confirm do i I have naga dosha because i am suffering for kids.Please do needfull what kind of pooja need to perform if impacted with any dosha. Thanks in advance. No Naaga dosham for you. Need to check your compatibility with your wife. So send your spouse detais also. Here are my spouse details, Please check and confirm. Daily worship Lord Ganesh, Subrahmanya and Goddess Durga. Perform rahu kethu pooja on a Sunday raahu kaal time. Doing this pooja thrice once in a year is beneficial. Circumnavigate Navagrahas on every Saturdays is mist. 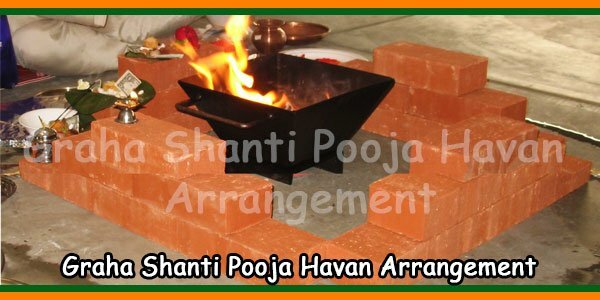 Perform pooja to Navagrahas also on regular basis. Attend Harathi pooja at Sai baba temple regularly. Recite Aadithya Hridayam manthra during the sun rise time daily or every Sundays. I’m from Malaysia. Please check for me if i got Kaala Sarpha fish’s because astrologers here said i got the dosham. Please let me know what poojai to be done if I got Kaala sarpha dhosam. When all the planets are placed inbetween rahu and keth then it is considered as Kaala sarpa dosham. Some astrologers believe that when a benefic Jupiter (Guru) is aspected then it turns good only. That happened in your horoscope and hence no kaal sarp dosh. But has Kethu dosham. Hence you will find problems in financial as he is placed malefic in Dhana sthana. And also you will have more expenses that you may not be able to meet with your earnings / lack in savings. Perform rahu kethu pooja on 20th January 2019 Sunday Pournami (best) evening between 0430 and 0600 hrs. If it is not possible to stay and do the pooja on Sunday then you can do it on Saturday. Tickets cost – rs 500, 750, 1500, 2000 and 5000 available. You can book online or in person booking is very well available without troubles but only thing you should arrive the temple one hour before rahu kaalam time as i said above. I am facing some issues related to my career and job search. I would appreciate if you could check and let me know if I have any Doshas in my Horoscope. There is rahu kethu dosham. so perform rahu kethu pooja on a Sunday raahu kaal time. To overcome the obstacles regarding job just worship Lord Ganesh, Hanuman and reciting Guru Manthram for 108 times and also perform Tila Abhishekam to Shani Deva on a Saturday or Shani Trayodasi. Circumnavigate Navagrahas on every Saturdays. Thank you for the quick reply. Just a quick question, where do I need to perform Rahu kethu pooja? Is there any specific place? You can perform rahu kethu pooja either at Sri Kalahasthi in AP or at Kukke Subrahmanya temple or Ghati Subrahmanya temple at Karnataka or at Tirunageshwaram in TN or at Trimbakeshwar in Nashik. Where ever you do the pooja first perform pooja / archana to Lord Ganesh and then do rahu kethu pooja.